Faith Library Publications announces two new book releases one from Kenneth W. Hagin titled Power Up! : Getting Charged With God’s Power and the other from Lynette Hagin titled Along the Way: Building a Legacy That Changes Lives. 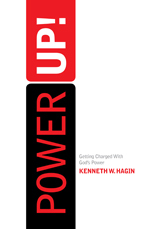 Faith Library Publications announces the release of a new book from Kenneth W. Hagin titled Power Up! : Getting Charged With God’s Power. Most of us take electric power for granted. We use it every day to make our meals, control the temperature in our homes, communicate with each other, and light our way at night. And if something knocks out our power, we do everything we can to get it back, and quickly! But increasingly and alarmingly, the Church is suffering a power failure and seems content to sit in the dark. The lights are still on, but there’s no spiritual power—just an outward form of godliness. 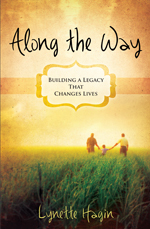 Faith Library Publications announces the release of a new book from Lynette Hagin titled Along the Way: Building a Legacy That Changes Lives. However difficult our personal problems might seem at times, there’s a hurting world out there crying for help. But with so many needs around us, what can we do? Moment by moment, day by day, we can build a legacy that will change lives. Through Jesus Christ, God has provided a solution for every problem of man. We have a responsibility to those who have gone before us and a duty to those who will come after us to leave a legacy that will lead people to the light. Do our lives draw others to Jesus? Or do they drive people away from Him? In her exciting new book, Lynette Hagin shows us with compassion and encouragement how we can make an eternal difference for others.